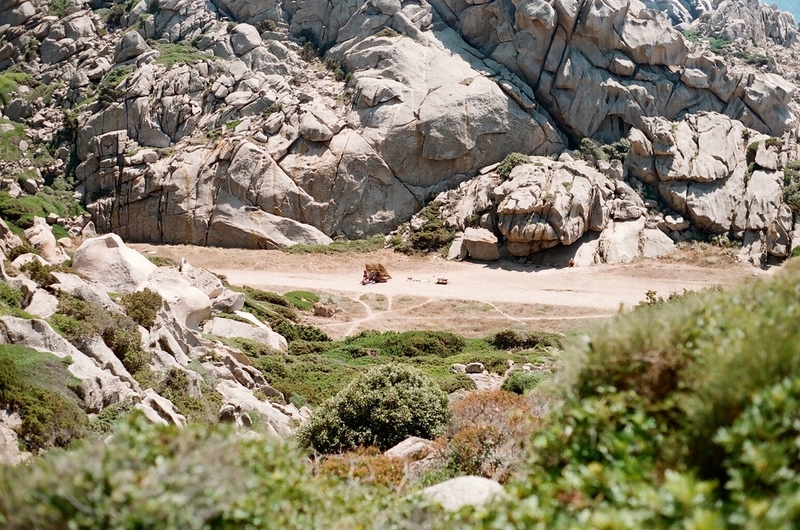 I travelled to the Island of Sardinia in Italy to write and photograph a story about the hidden cave homes of Valle Della Luna for Les Others print Issue II. The formation of the land looked like my lover's body cradled in the hearth of my bed. The dagger shaped rocks lay softly against one another, pieced together like a puzzle. At the foot of these god-like figures I could hear the murmur of secrets, echoes of the past whispered into the hulls of seashells, to be kept and then tossed asunder, giver to the sea. Stories had been cremated here, sunk to ashes, leaving no relics, no unburnt bones; no photographs to be kept in lockets such as your intimacies leave behind.